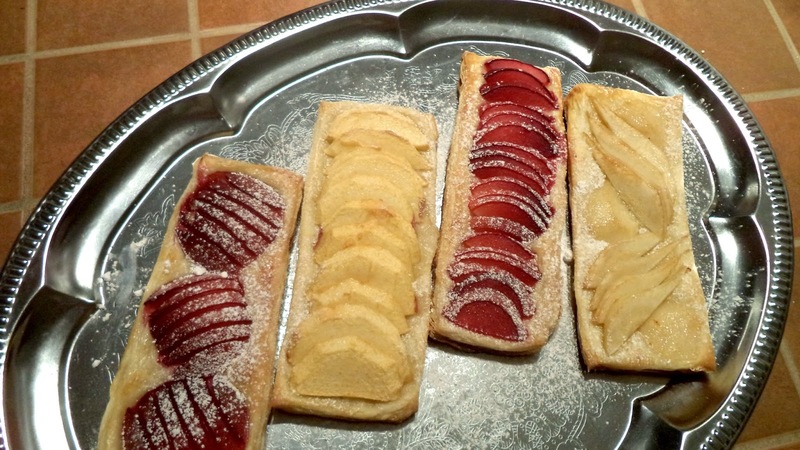 The Most Gorgeous Fruit Tarts! 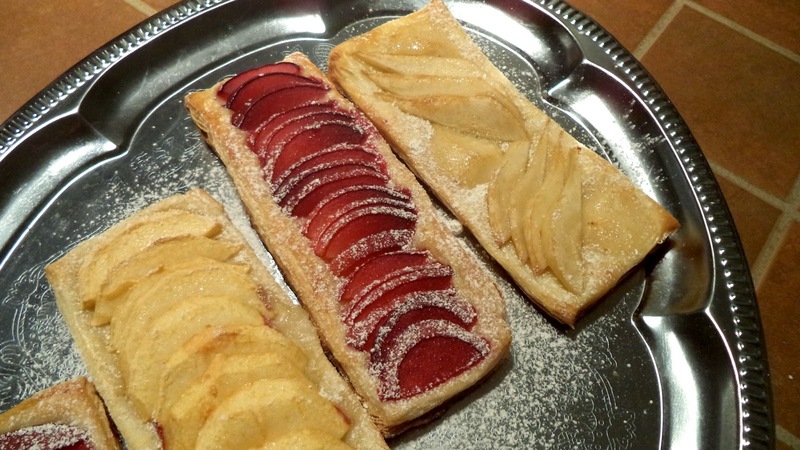 | A Hint of Rose: The Most Gorgeous Fruit Tarts! 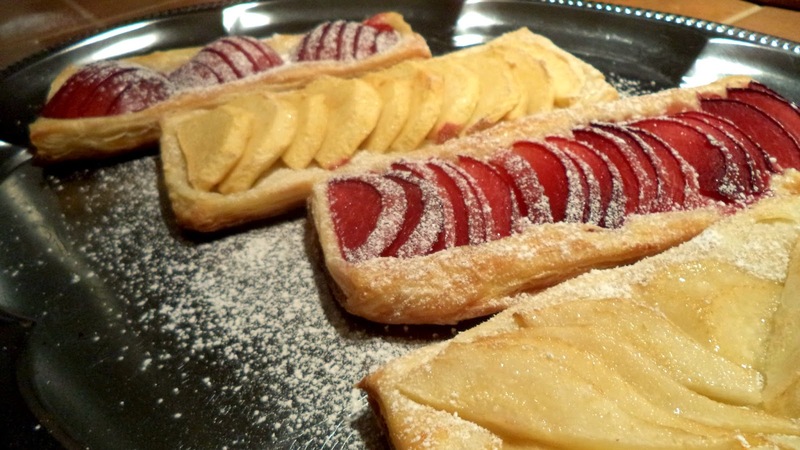 The Most Gorgeous Fruit Tarts! 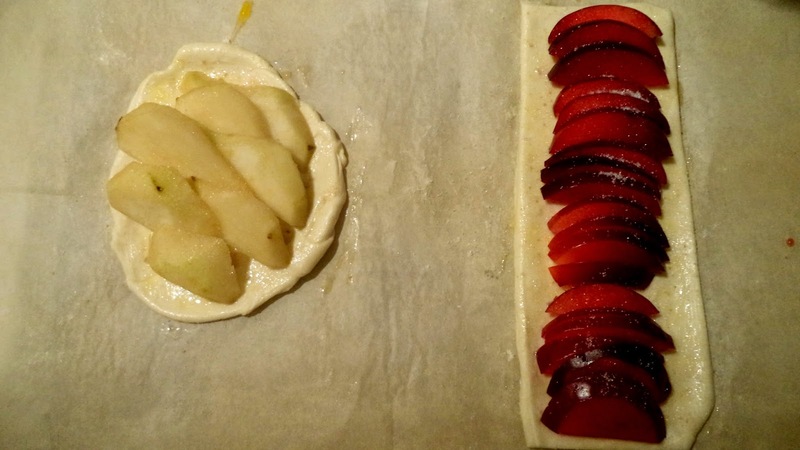 Today, because of the really cloudy and depressing sky, I decided to do some pastry. It’s relaxing, it releases a delicious smell in the house, it’s motivating, in short, it’s the perfect activity for this kind of day! I discovered this recipe throw the blog Call Me Cupcake, and when I saw the photos, I thought “OMG! I need to try this!”. The recipe is TERRIBLY easy, it only requires a few ingredients, and you can choose the toppings as you like! 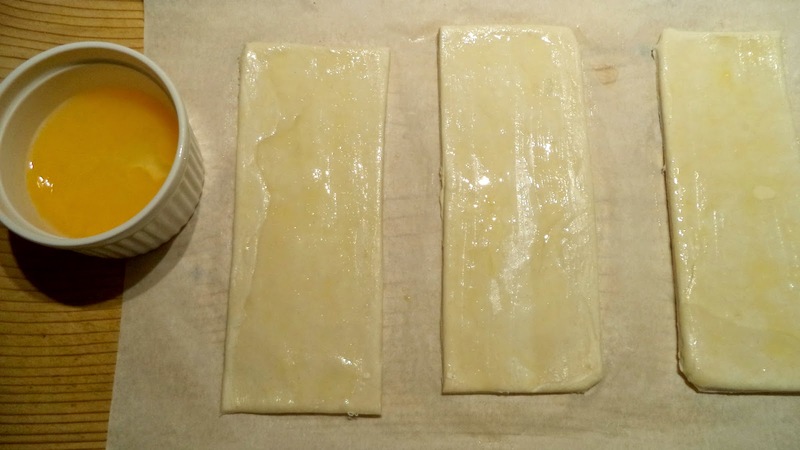 - puff pastry (about 400g). - Preheat the oven to 390°F and place the rack in the center of the oven. - In a small bowl, beat the egg with the water and the salt. 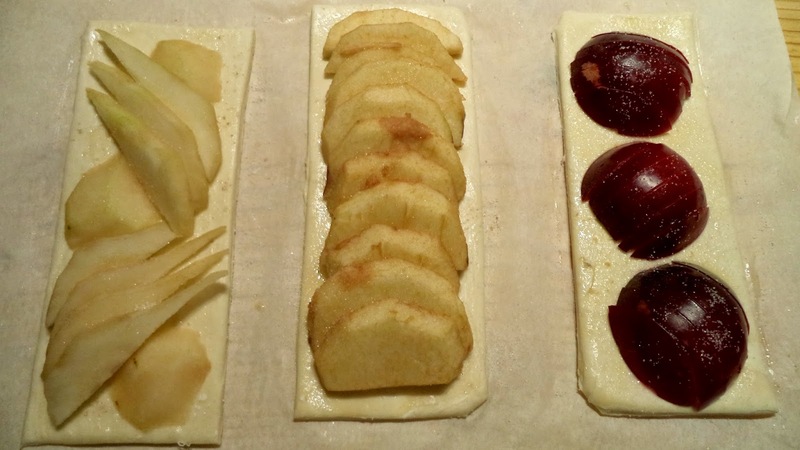 - Roll out the puff pastry and cut it out in rectangles (makes 4 rectangles of 9 x 14 cm). 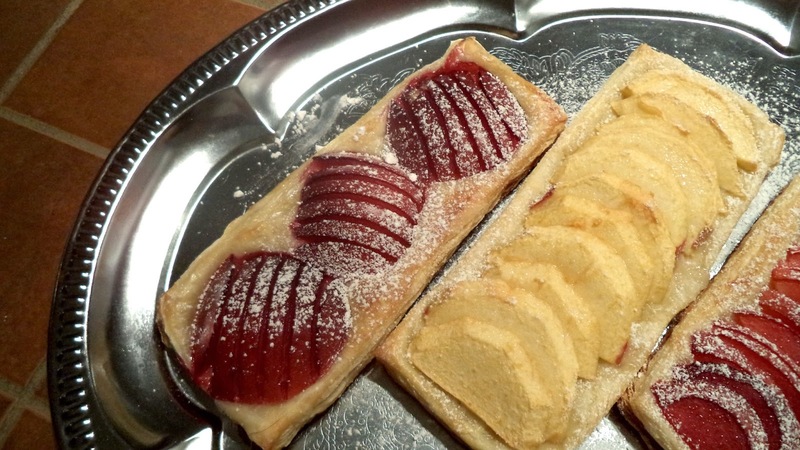 - Brush the pastry with the egg, arrange the fruits and sprinkle the top with the sugar. - Put in the oven for about 20 to 25 minutes, or until the top is golden brown. - Sprinkle with a bit of powder sugar. - That’s it! Enjoy with a scoop of ice cream!